Just thought I'd do a quick little post on this. I'm not really the type to go out and buy candles, I usually buy clothes and makeup and that sort of thing. 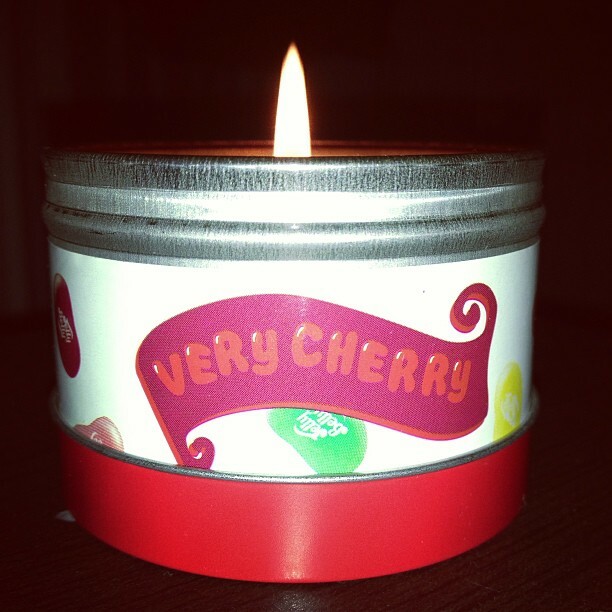 But whilst I was looking through the Topshop Accessories I saw this Jelly Belly candle and thought I had to give a sniff. This candle is the best smelling candle I have ever smelt! I purchased the Very Cherry one for only £5 in Topshop . They also had other scents like Bubblegum, which was also nice, and Marshmallow which I didnt really like. My favourite was very cherry! The candle is really strong, and even makes your room smell nice when it isnt lit! It lasts for a long time and I'd definitely get one again! Has anyone else smelt or purchased this?